The following address was made by Dr. Adrian Bird, IPSC Chair, at the November 11, 2018 Annual Meeting of Interfaith Partners of South Carolina. It’s been quite a year! At our 2017 annual meeting we gathered in remembrance of our former President, Dr. Will Moreau Goins. Since then we have regrouped and kept moving in the best tradition of IPSC. Dr. Goins would surely be proud of the year we have had since then. We began, as has become customary, with the Governor’s Proclamation of January as Interfaith Harmony Month in South Carolina. We should take pause of just how unique such a proclamation is within the context of the US, and hope this will be a model for other States to emulate. Interfaith Harmony Month this year featured an array of events and gatherings organized by diverse religious groups across the State, including an Interfaith Healing and Peace ceremony; a documentary on the Baha’i faith; a lecture on Anti-Semitism at the University of South Carolina; an ecumenical Christian gathering in downtown Columbia; an introduction to Nichiren Buddhism; and a gathering at the Quaker Meeting House, to name but a few. There were many other events in which we had an opportunity to showcase and celebrate religious diversity across the State. We are convinced that as our friendships and relationships grow, we learn more about who we are as IPSC, and have many opportunities to achieve our mission goals. Together we model strong and peaceable community as we cross religious boundaries, stand together in solidarity (through both highs and lows) and celebrate our unity as well as our differences. In a world all too often divided, we offer something different. There are several events worth mentioning as the year progressed. Interfaith Partners of South Carolina was invited by Lori Kornagay, Curator of Art at the State Museum in Columbia, to provide discussion facilitators for their community Circles of Dialogue program, entitled ‘Requiem for Mother Emmanuel’. What struck me most about this invitation was the recognition by event organizers that the conversations surrounding race and violence needed to be interfaith conversations. We are grateful for that recognition, and to those from IPSC who helped facilitate these important conversations. Around that same theme, members of IPSC attended the ‘Evening of Remembrances, Inspiration and Music’, organized by the Unified Interfaith Community Coalition in Beaufort, SC. This gathering marked the 3-year anniversary of the shootings in Charleston. This was indeed an inspiring evening, witnessing the coming together of diverse religious voices in Beaufort to make a positive difference in the world. Once again, we are reminded of the importance of shared collaborations which together weave the mosaic of a vibrant interfaith movement across the State. 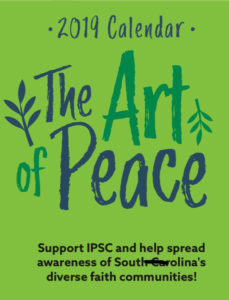 Events created from IPSC’s affiliate groups in Florence, Aiken, and Coastal Carolina, have added considerably to this mosaic in enriching ways throughout the year. One person worthy of particular mention is Rev. Ed. 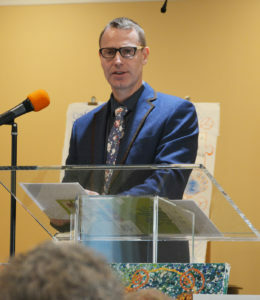 Kosak, who has been instrumental in organizing interfaith gatherings at the Unity congregation in Charleston. 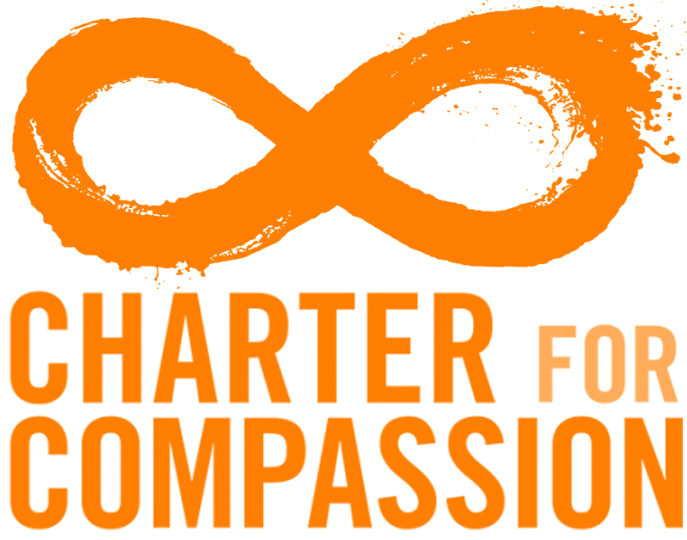 Ed, who serves on the IPSC board as faith representative for New Thought, also has the distinguished honor of sitting on board of the newly named Charleston Interreligious Council (formerly the Christian-Jewish Council). We certainly look forward to good collaboration moving ahead. In June this year, an opportunity presented itself for IPSC to mobilize in the midst of a local controversy. The Mayor of Irmo, Hardy King, had posted controversial comments about Islam on his Facebook page, prompting calls of both support and protest within the local community. IPSC wrote to the Mayor, offering to facilitate a meeting with local Muslims in Columbia. Mayor King informed us that he had already been approached by Chaudhry Sadiq, friend of IPSC and president of the ‘Peace and Integration Council of North America’ (PICNA) to visit the Masjid Noor Ul Huda. Members of IPSC joined the Mayor at the Masjid, and through those all-important encounters, we witnessed a remarkable transformation. Following the visit, the Mayor apologized for his original postings, acknowledging he had been received at the Mosque better than his own family reunion! Wanting to build on this initial step, IPSC worked in partnership with the Mayor and PICNA, to host a public forum entitled ‘Demystifying Islam’ in the heart of Irmo. This was a valuable opportunity for people to come and learn about Islam, and to engage with panelists from the Muslim, Jewish and Christian community. This was an opportunity to ask questions and work together towards deconstructing harmful stereotypes, building in their place something far more enduring for strong and peaceable community. A significant highlight of the IPSC year was our second ‘Peace in the Park’ festival, which brought all IPSC faith traditions together for a grand festival in which we celebrated our unity, as well as our differences. Partnering with Interfaith Initiatives at USC, the festival showcased arts and crafts, music and dance, as well as information tables from each tradition. Davis field, in the heart of the USC campus, was the perfect location for the festival. A significant feature of the festival was the art gallery, displaying artwork from the 2018 IPSC art competition. These images, imaginatively created by student artists (preK through college) around the State, brought our competition themes ‘Peace in our community’ and ‘Interfaith Harmony’ to life. These incredible images are now featured in the 2019 IPSC Calendar, which is available for purchase through the IPSC website. I cannot thank the Peace in the Park planning team enough, in particular the extraordinary work of our dynamic leader Cheryl Nail, and our calendar design guru, Sarah Kurlowich. In 2019, the art gallery will go mobile, as we display the artwork in various venues around the State. Throughout the year, the greater Columbia community has increasingly recognized IPSC as a trusted resource. We have had a more visible presence, educating the community about our mission through various opportunities, such as presenting to the FBI’s Multicultural Advisory Council, meeting with members of the Lt. Governor’s Office, and appearing several times on WIS’s show, ‘Awareness’. As a result, IPSC has been called upon multiple times throughout the year to provide perspective on complicated issues and consultation on building interfaith relations. Members of government agencies have been attending IPSC events more and more this year, looking to better understand their diverse employees and learn from our successes so that they can facilitate interfaith dialogue in their offices. With each appearance, presentation, and conversation, we are spreading seeds throughout the community, demonstrating the importance of interfaith harmony. The recent tragic events at the Tree of Life synagogue in Pittsburgh prompted a rallying of the faith communities within IPSC. Once again, we collectively mobilized to show our support to our brothers and sisters in the Jewish communities. Statements of support were sent from many of our faith communities. During an interfaith service at the Beth Shalom synagogue, Columbia, October 30, over 1200 people from the surrounding community gathered to show their support, offering a profound glimpse of one powerful antidote to the poison of Anti-Semitism. Present were many members of IPSC, embracing one another on a night of both mourning and shared hope. One lasting personal memory occurred as I spoke on behalf of IPSC at the Shabbat service at the Tree of Life synagogue, Columbia, later that week. As I looked out among the faces of new friends in the synagogue, there were also many friends from IPSC, present to boldly say, ‘We love you! We are here for you today! We will be here for you tomorrow.’ That is the beauty and the profound power of IPSC. Finally, a word of thanks to all of those who continue to offer their many gifts, time and talents on behalf of the important work of IPSC. In particular we want to acknowledge the considerable work of Missie Walker, who will be stepping down as secretary of IPSC. Missie’s work has saved us on many occasions, and we are most grateful for who she is, and all she has done for us over the last several years. And we welcome two new members to the IPSC board. The new religious representative of Islam is Dr. Ghazala Javed. Cat Nelson will serve as the new religious representative of Native American Spirituality. Welcome, indeed. It’s been quite a year. Roll on 2019!